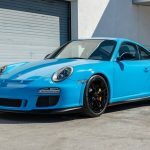 Wearing one of Porsches all-time favorite paint colors of non-metallic Riviera Blue with interior accents in Speed Yellow (matching the PCCBs), this is as cool of a 997.2 GT3 as you will see! With it’s loaded window sticker, low mileage, and overall condition this is a collector’s choice. 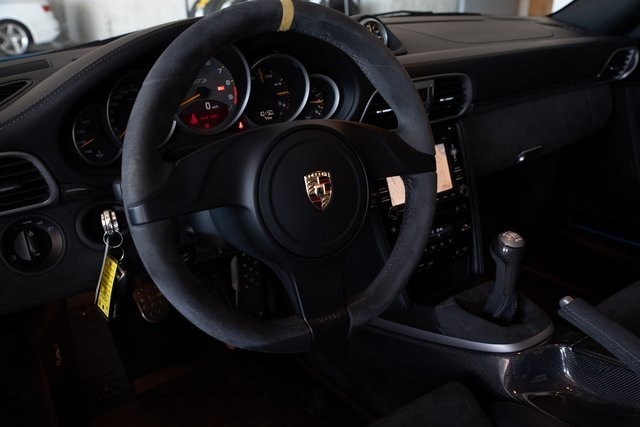 Fully serviced and ready to go, we’re confident you will meticulously maintain the GT3 as it’s previous owners. 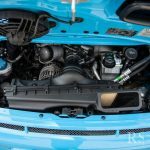 From it’s fit and finish to the thrilling driving experience the 997 GT3 is a phenomenal return for your money, especially when you consider it is only slightly underpowered compared to it’s RS big brother. As much as we hate the saying, “it is what it is”. 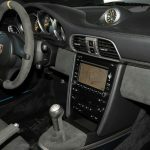 This particular PTS GT3 leaves little to discuss, and will always remain a special 911. 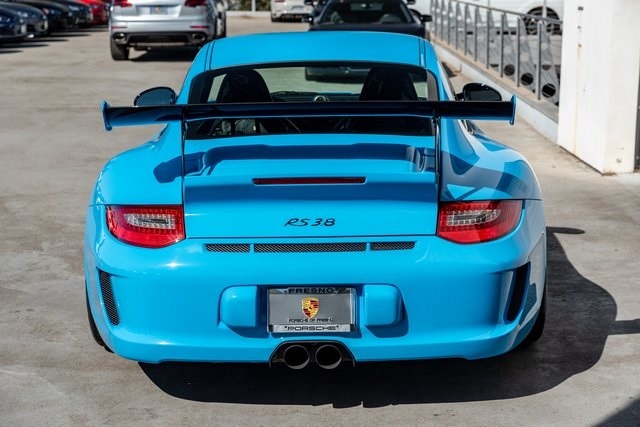 This GT3 is kind of wild. 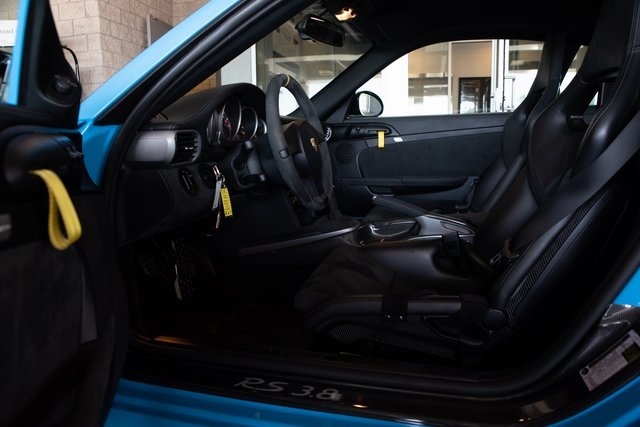 It isn’t just the very bright exterior, but the interior continues the theme with a mix of Riviera Blue and Speed Yellow accents. I don’t know that it all works, but it certainly looks unique. 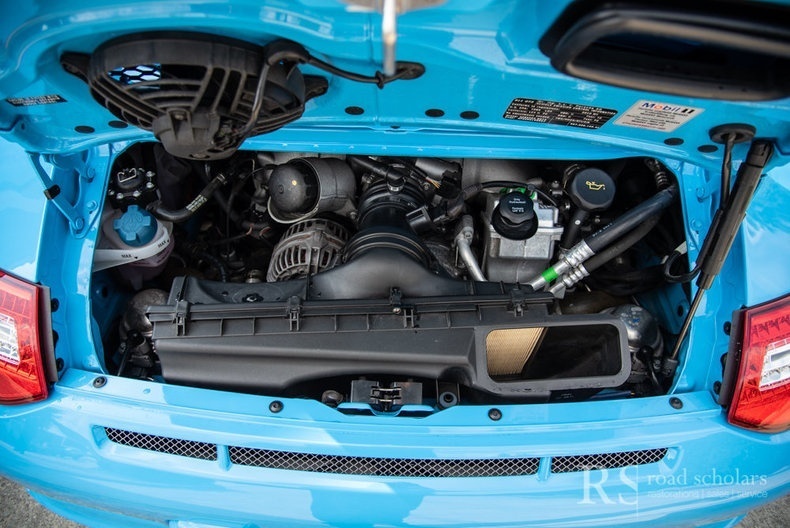 The condition, as we’d expect with such a 911, looks quite good and the mileage is very low. 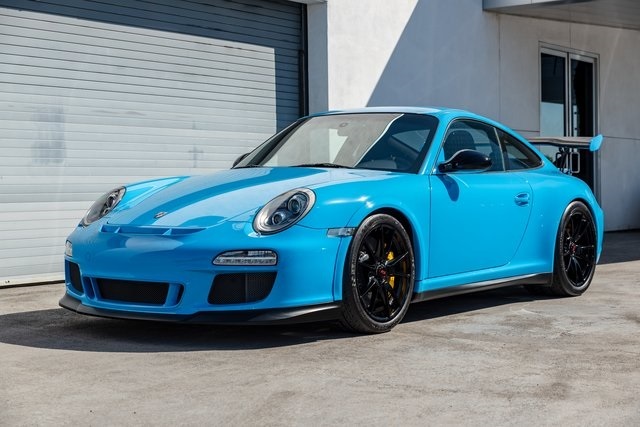 Of the various 997.2 GT3s I have seen this one certainly stands out as a special car. 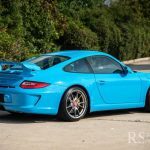 Is it blasphemous in a post on Riviera Blue 911s to say I think I like the Speed Yellow GT3 I featured last week more than this one? There is something about Speed Yellow that just seems to work really well on these cars. 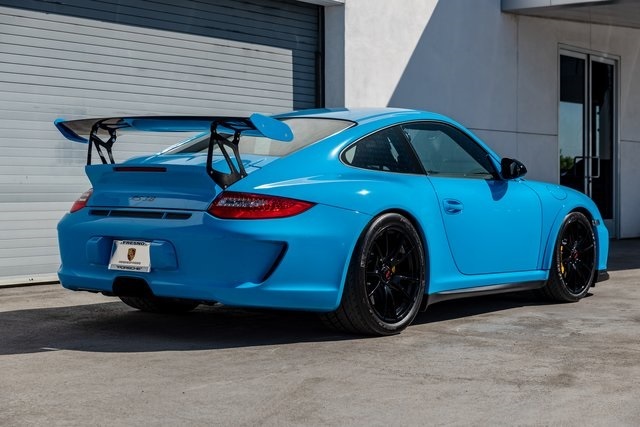 This Riviera Blue one looks great, but I don’t know that I prefer it. 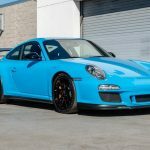 That Speed Yellow GT3 sold for $135K so that gives us somewhere to start with the likely price here. 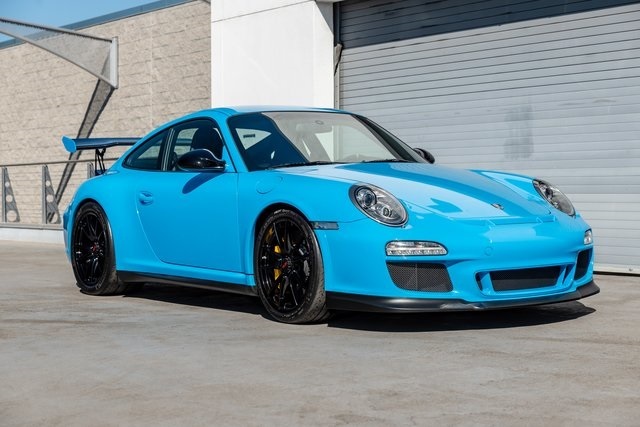 It also had triple the mileage and wasn’t Riviera Blue, so this one should be quite pricey. Clean CARFAX. 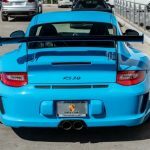 Riviera Blue 2011 Porsche 911 GT3 RS RWD 6-Speed Manual 3.8L H6 SMPI DOHC Front Axle Lifting System, Front Sport Bucket Seats, PCM 3.0 w/Extended Navigation, Porsche Ceramic Composite Brake (PCCB), Porsche Crest in Headrests, Sound Package Plus, Sport Chrono Package Plus, Three-Spoke Sports Steering Wheel w/Smooth Leather. Recent Arrival! 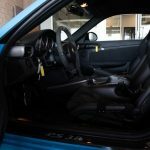 Odometer is 2783 miles below market average! Relative to the GT3, this RS almost seems tame. 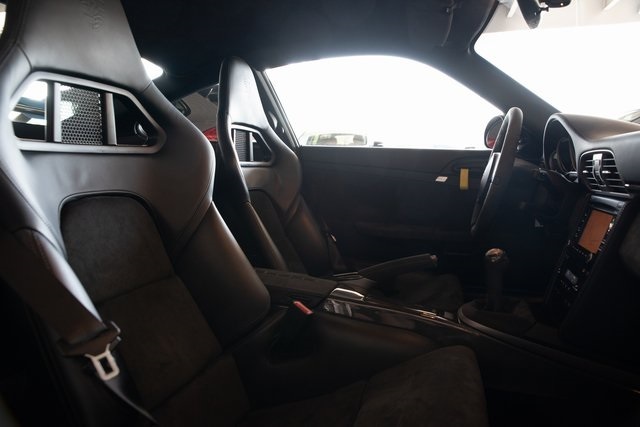 The interior takes a much more restrained route with just a touch of Speed Yellow to serve as contrast. 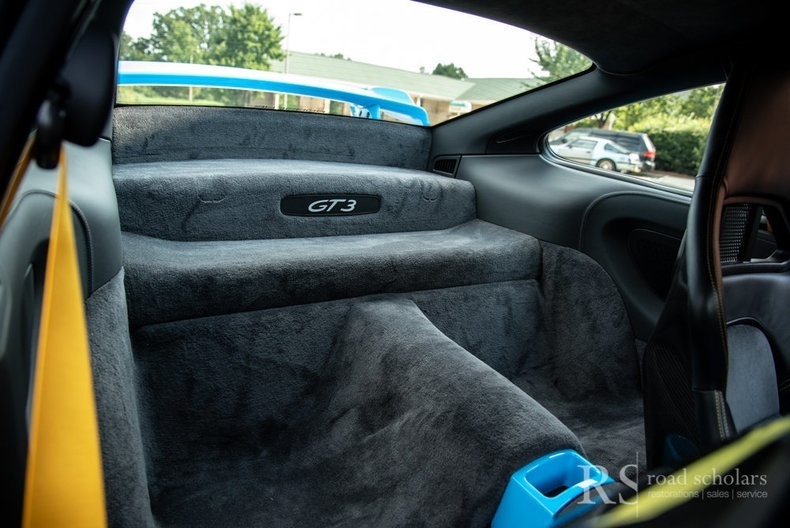 I think the ideal rests someone in between these two as the GT3 is doing too much, while this one not enough. The exterior, of course, remains phenomenal and like the GT3 the mileage is pretty low. 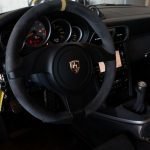 On Rennlist there have been a few questions regarding the originality of the various black exterior trim (wheels, mirrors, and wing uprights) along with the steering wheel. I don’t think any of that should be enough to dissuade you from the car itself, but it’s always good to know. 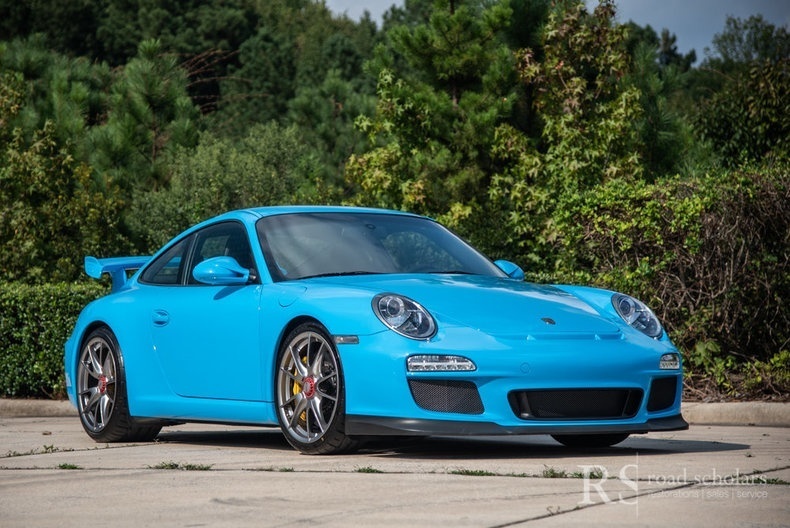 The asking price is pretty high for a GT3 RS, but Riviera Blue does that. Two brilliant cars in the same brilliant exterior color. Both have pretty high prices, but I don’t know that either will take too long to sell. 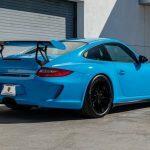 Tagged 2010, 2011, 911, 997, GT3, GT3 RS, Porsche. 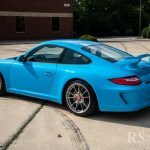 Awesome color for sure – but atleast for the 991 generation I feel that the exclusiveness of Rivera is diluted a bit by the availability of Miami blue – granted I have never seen both side by side and in person they probably look completely different – but any of the other blues – Minerva, Albert or gulf in my opinion looks “more” exclusive…. I think that’s right and I’ll be curious how that plays out long term. 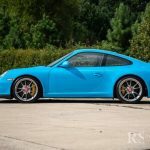 A bright blue 991 definitely won’t be as rare as it was with other models so it’s really a matter of how much a very specific color commands a premium. Add to that the increased prevalence of PTS in general and we may even see a general depression in their values, at least relative to previous models.